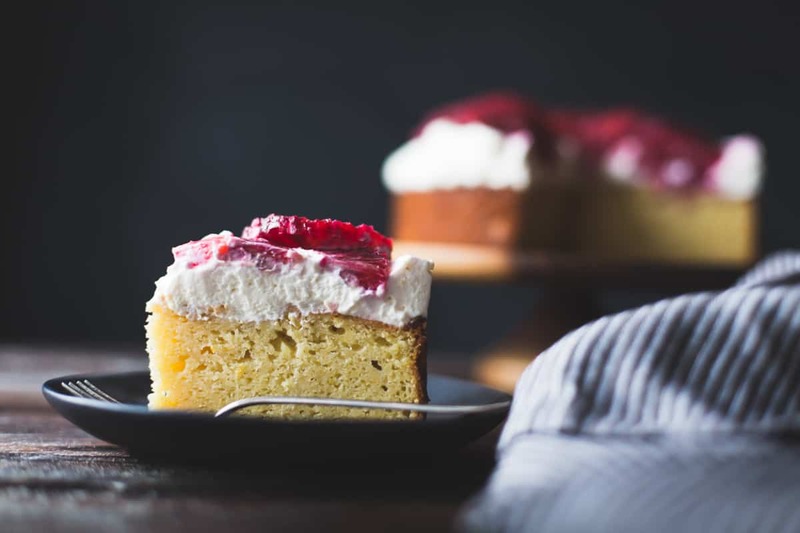 Corn flour gives this cake a golden hue while ricotta adds tenderness and chew. 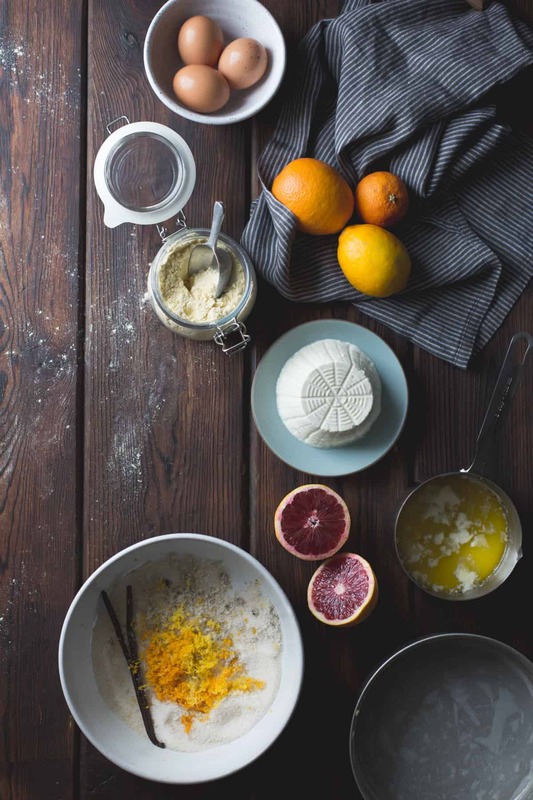 Topped with mascarpone and blood oranges, it makes a bright treat for the depths of winter. Today’s post is in honor of a special lady. In fact, it’s in honor of TWO special ladies, one of whom is about to emerge into the world in a few short weeks. Yes, this is a virtual baby shower for Sarah‘s #cheesebabygirl! Sarah’s little one has been hankering for cheese and sweets these first 9 months of her existence (clearly, she’s a gal after my own heart), so Todd and I decided to throw the two of them this virtual party (aka #cheesebabyshower) full of cheesy sweet goodness. See below for all the delicious links! When I first met Sarah a little over a year ago, I learned that 1) we both love orange cats and 2) I needed to trick her into being my friend. I think it worked! Since then, my life has improved exponentially. I’ve learned so much from Sarah: how to negotiate, how to make contracts and invoices, how to use WordPress, how to adult (some of the time), and most importantly, how to play the catpipes. Since then, we’ve made chickpea pasta, chestnut pasta, floats with Todd, a handful of recipe videos, and styled dozens of dishes for The New York Times (let the tunnel of fudge cake never be forgotten). Also, that chick can COOK. Sarah makes the best green smoothies, Oboro tofu, arepas, ginger tofu pudding, spiced poached pears, vegan ice cream, mochi, scallion pancakes, bacon ginger molasses cookies, spaghetti squash fritters, and waffles. She keeps me VERY well fed. Sarah can teach herself how to do anything: build websites, edit videos, take stunning pictures, design graphics, logos and book covers, and even ice cookies when an impatient photographer is standing in the doorway staring her down. Oh, and did you know she has a PhD? NO BIG DEAL. If she weren’t one of the most kind, thoughtful, generous souls in the world, I would hate her. And the best news? There is about to be 50% more Sarah in the world! I have no doubt Sarah will be as nurturing and caring a mother as she is a friend and I can’t wait to support her in that as best I can. This cheesy-sweet cake gets moisture and richness from whole-milk ricotta. 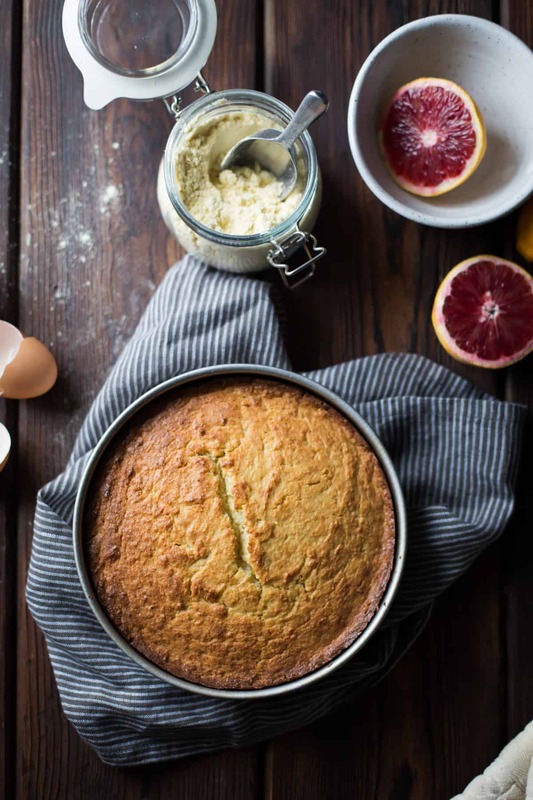 Corn flour adds its sunny-yellow hue and sweet, grassy flavor, making the cake meltingly tender. 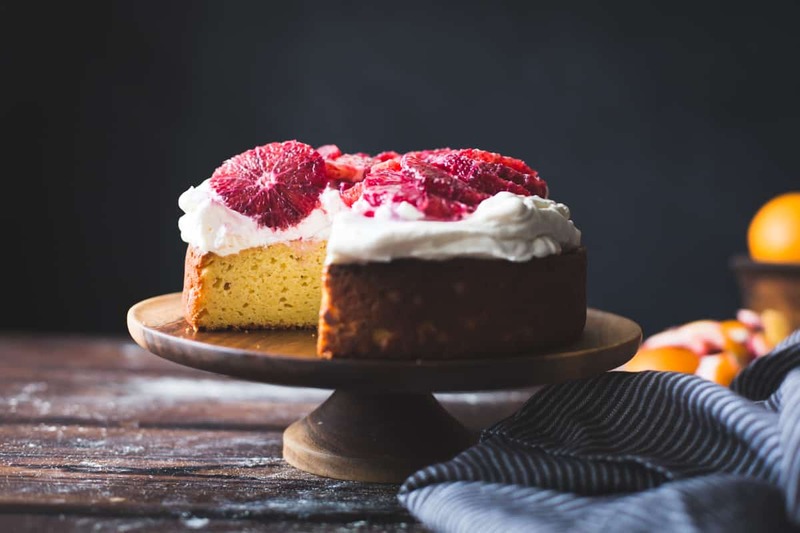 Rubbing citrus zest and vanilla bean into the sugar draws out the oils, adding their floral notes to a cake enhanced with the full flavor of alternative flours. I used sweet white rice flour as a neutral binder, but I’d wager that regular white rice flour, or a rice-based all-purpose blend, could stand in since the cake gets plenty of “stick” from the ricotta. That said, no one would ever guess this cake was gluten-free. 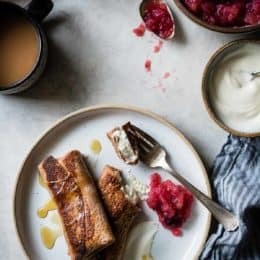 A finish of mascarpone whipped cream and blood orange makes a striking finish, but you could just as easily serve slices of warm cake with a dollop of whipped cream and berries. I can’t wait for berry season to try this as per the original, or perhaps with rhubarb come spring or plums in the fall. Check out all the other cheesy sweet goodies made by bloggers in honor of our dear Sarah, below. 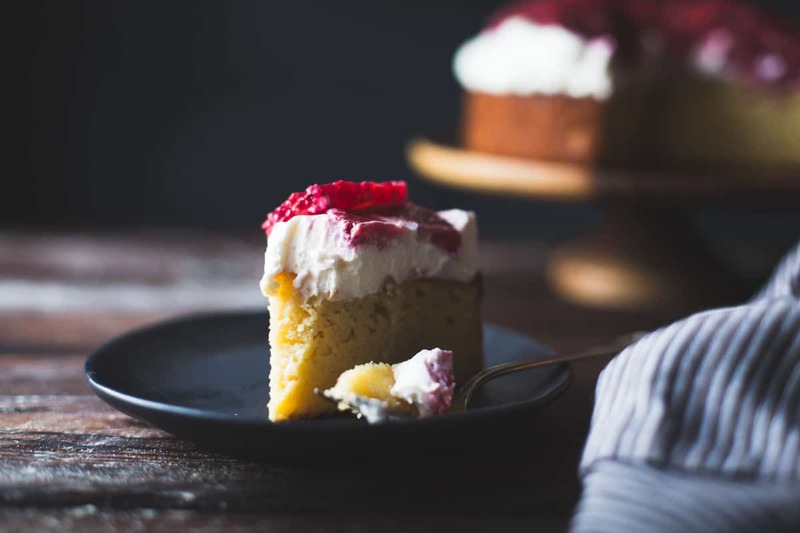 You'll want to finish the cake at the last minute, so that the cake is room temperature and the cream is cold. It will hold up for an hour at cool room temperature. 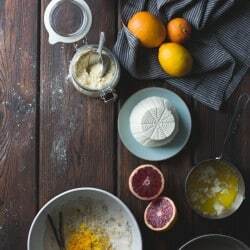 Alternatively, dust the cake with powdered sugar and serve wedges of still-warm cake on plates with a dollop of whipped mascarpone and a few rounds of blood orange to the side. 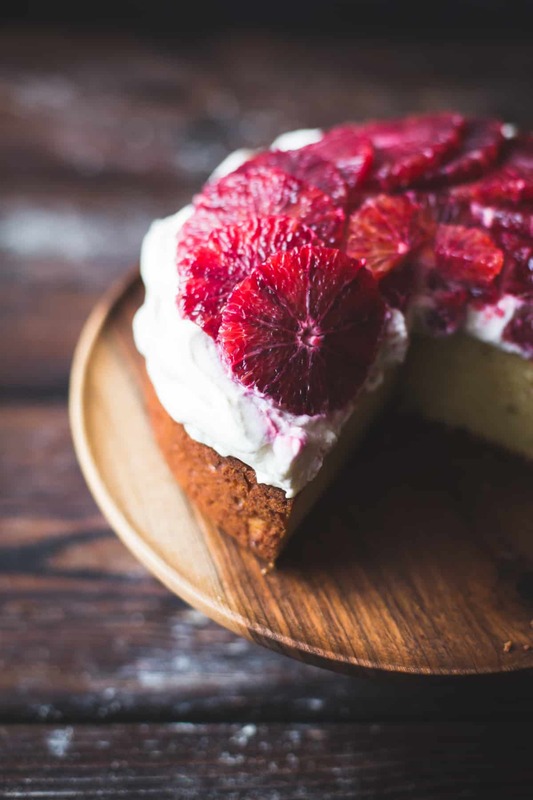 The cake can be made up to 1 day ahead and stored airtight at room temperature. Cake adapted from Bon Appétit. Position a rack in the center of the oven and preheat to 350ºF. Butter an 8-inch cake pan and line the bottom with a round of parchment paper. Place the sugar in a large bowl and add the citrus zest and vanilla pod and scrapings. Rub the zest and vanilla seeds into the sugar to moisten and distribute. Remove the vanilla pod and reserve for another use. 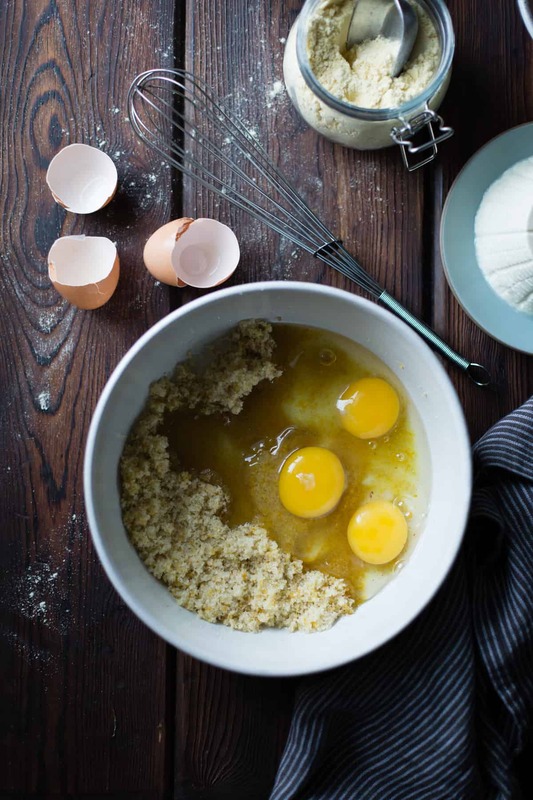 Beat the eggs into the sugar mixture, then the ricotta, and finally the butter. Place a strainer over the bowl and add the sweet rice, oat and corn flours with the baking powder and salt. Sift in and stir until well-combined. Scrape the batter into the prepared pan, smooth the top, and bake until golden on top and a tester comes out clean, 50-60 minutes. Let cool until warm, then invert the cake onto a plate, peel away the parchment, and flip right side-up. Let cool completely unless serving warm. To prepare the topping, whip together the cream, mascarpone, sugar and vanilla seeds or extract until the mixture just holds firm peaks. (If you overwhip and the mixture starts to look grainy, you can rescue it by folding in a few tablespoons of cream until it loosens up.) Chill until needed. Prepare the oranges by cutting off ½-inch from each end. Place a cut side down and use a sharp knife (I like a small serrated knife) to pare away the peel and white pith, following the curve of the fruit. Turn the orange on its side and slice into rounds 3/8-inch thick. Repeat with the remaining oranges. 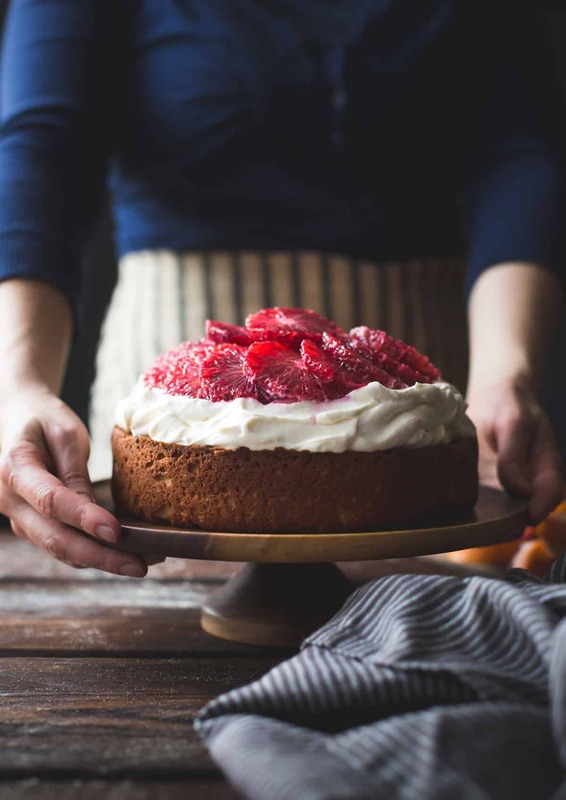 Dollop and spread the whipped mascarpone all over the top of the cake leaving a 1-inch border. Drain the orange rounds and place atop the cake in overlapping circles. 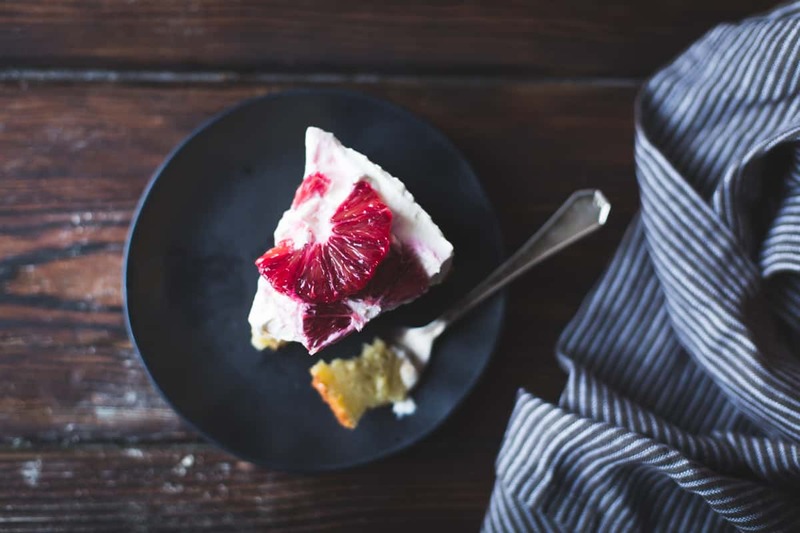 Serve the cake right away, using a large serrated knife to cut slices (they will be messy – go with it). Extra cake will keep refrigerated airtight for up to a day or two. 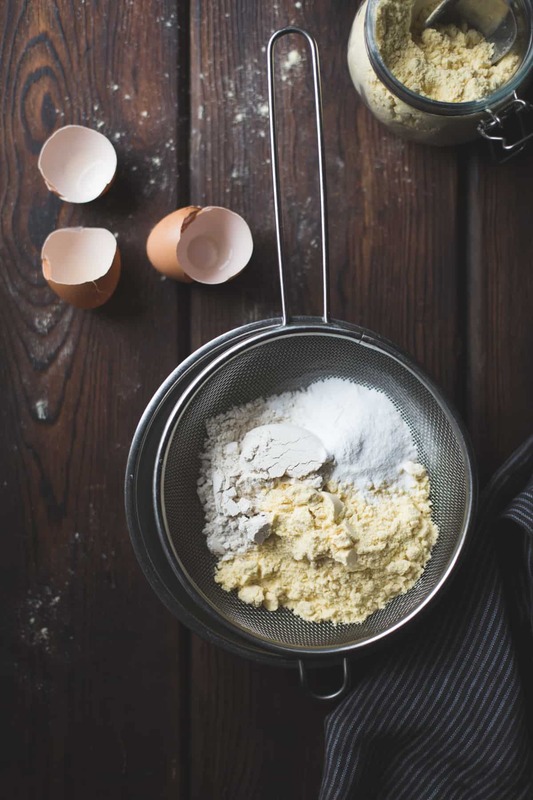 You can bake the cake in a 9-inch pan for a flatter cake; decrease the baking time by 5-10 minutes. This cake looks incredible and refreshing! 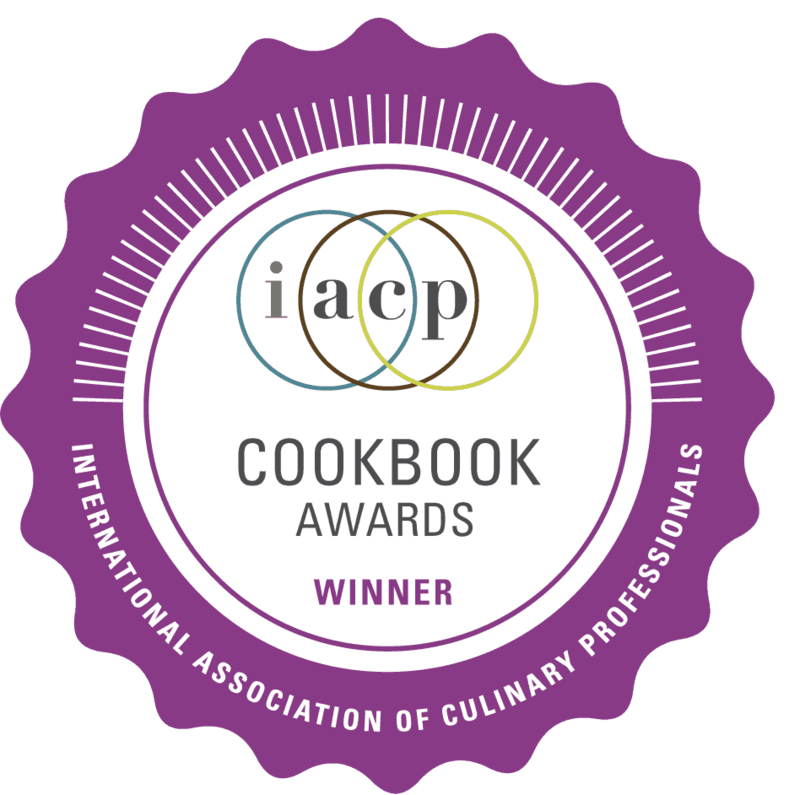 I absolutely love the presentation too – so prett! You’re a very nice person Alanna to do this for her! Thank you so much for putting this together! Loved thinking of cheesy + sweet things for Sarah, and your tribute to her is just so heart warming. I can’t wait to come visit – we’ll have to take Sarah + cheesebaby out (or stay in and cook again) next time I’m back!!! This cake is glorious, by the way. Gorgeous cake Alanna! I’m a big fan of anything corn and anything with ricotta, so I definitely have to make this soon. Such a great baby shower/welcoming for little cheese baby! oh my god, the catpipes. the meow at the end of that video was so funny. Yes, catpipes 4ever! Also enchiladas 4ever – yum!! Thanks so much for joining the fun! 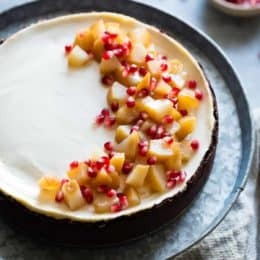 Ugh, another one of your delicious cakes to make me drool and be sad that I’m not in your kitchen being served up a giant slice on one of your cute plates. I LOVE this tribute to Sarah–ditto everything you said about her, and YAY for all of your amazing, amazing collabs. You two are truly a talented and fabulous team. Thank you (and Todd) so much for including me in this awesome virtual baby shower!! 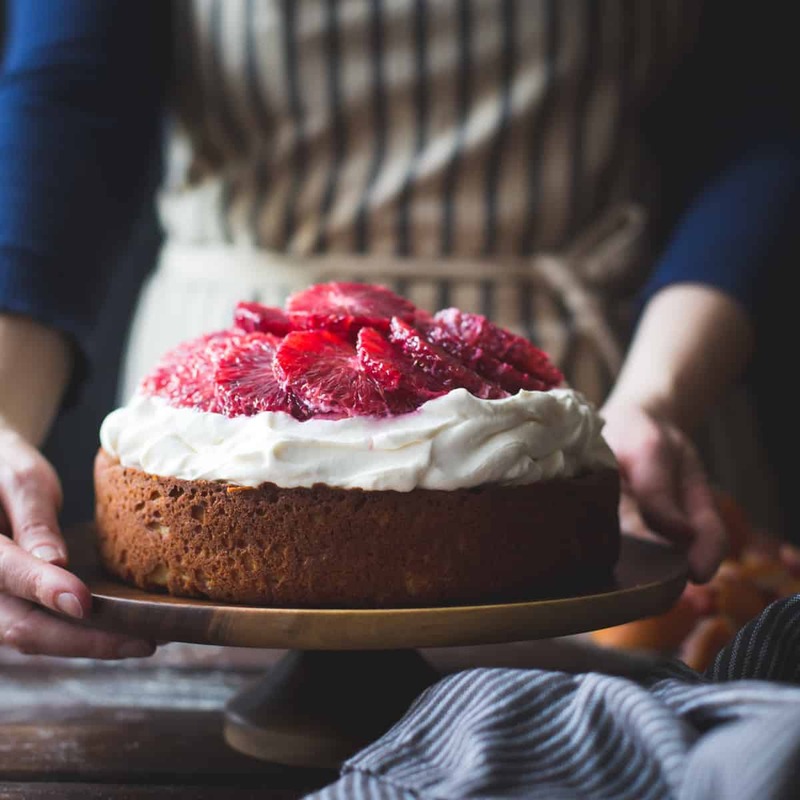 Love love love this – cakes with corn flour are always so unique! I’m sitting here wiping tears out of my eyes as I scroll through these stunning pictures of your perfect cake and even more perfect tribute to Sarah. It’s been such an inspiration to me to watch you two working together this year, and I assumed you’d been doing so for years before. Knowing that this is a new friendship is even more inspiring, and I’m so excited for all the magic you two will create from here on out. Thanks for organizing this amazing shower, Alanna! Ps, THAT CAKE. what a gorgeous cake! 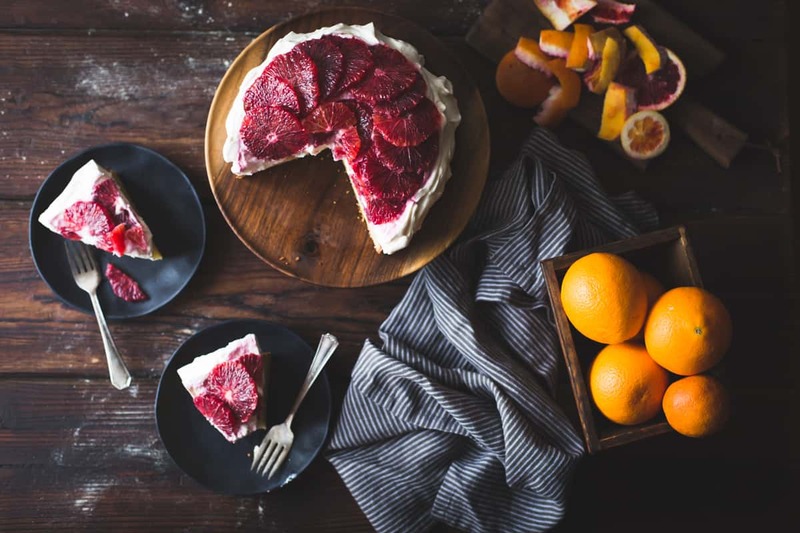 I’m currently obsessed with blood oranges, and you can’t beat them on a cake. lovely. Alanna!!!! 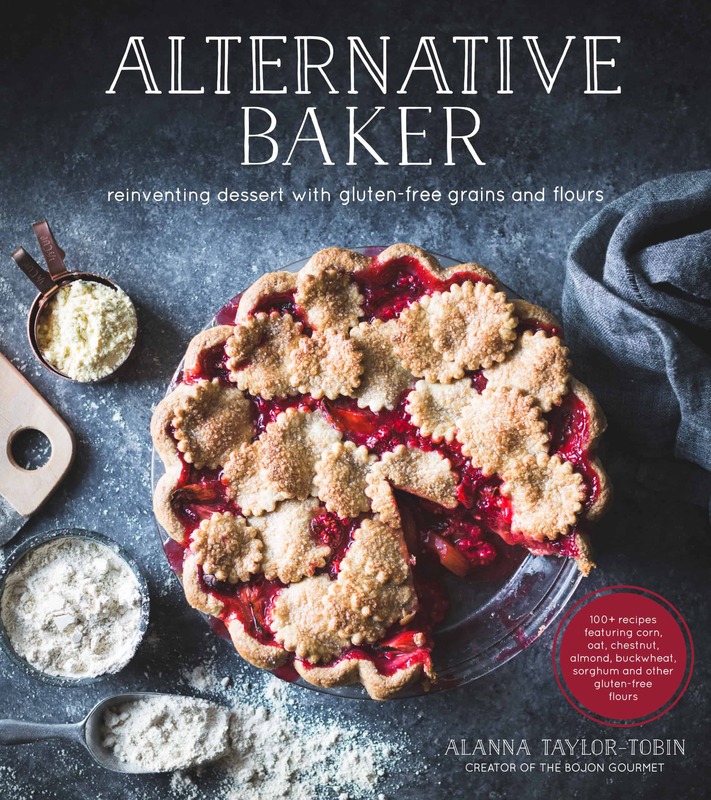 I love everything about this post: the gorgeous cake, those jewel colored blood oranges perched on top, your tribute to Sarah, etc., etc., etc. I could go on infinitely. Thank you for organizing such a great shower. I’m so honored to be part of it. And even more so to be friends with you and Sarah “in real life”. XOXO! Oh my goodness. You said all these sweet things that nearly had me in tears! I feel like *I* tricked YOU into being MY friend and I’ve learned 100x more from you. Thank you for organizing this GORGEOUS round-up of edible cheesy and sweet things for me and #cheesebabygirl! I can’t wait to taste this cake (tomorrow??) but also: only one slice? BUT I’M EATING FOR TWO ;) <3 youuuuu!! What a beautiful tribute to Sarah and her baby, and such a gorgeous cake! 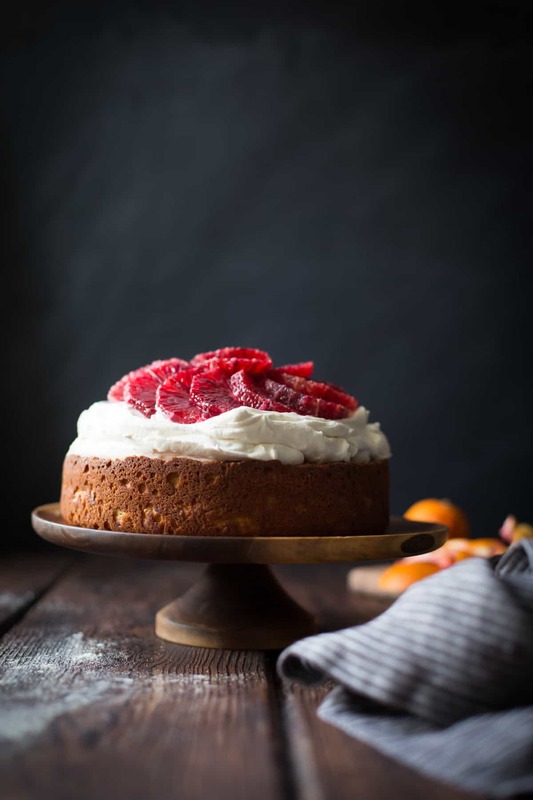 I love blood oranges and cake and can only imagine the wonderful flavor and texture the corn flour brings! so incredibly thoughtful of you and Todd to put this shower together for Sarah, and a big thanks for inviting me to the party! this is the sweetest ode to her, and I couldn’t say it better how lovely and amazing Sarah is. i’m so glad that i was able to visit the two of you last spring, and watch you work your magic as well as cook with you. Alanna, this is a seriously beautiful post! I love the way you talk about your friendship with Sarah. You two ladies make me so happy with your foodie friendship :) And all of your delicious recipes too! Also, this cake makes me seriously happy too. 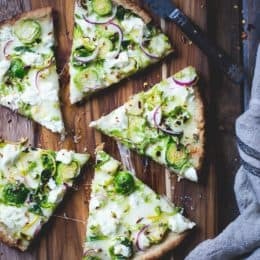 I can’t wait to try a big slice of this soon! And, I’ve put your cookbook on my birthday wish list. It will be a month late, but I know it will be worth the wait! This cake is so incredibly gorgeous! And perfect for celebrating. I just wish I could reach through the screen and grab a slice (or five). Hehe, thanks so much Ellie! Loving that ice cream, mmmmm. Such a sweet cake for a baby shower! Just gorgeous, the blood orange topping is beautiful! Love this cake Alanna!! I seriously want to try it with rhubarb like you suggested! Wonderful cake and it looks fantastic piled high with the decoration like that. Lovely post, and cake! Did you make your own ricotta, or, what brand did you use? Bellwether Farms basket dipped whole milk – sooooooo good! I just love what you and Todd have assembled here in honor of Sarah. SO much to enjoy and share. Thank you for this. I’m not surprised at your description of Sarah.. she is Superwoman! I hope to meet you two someday! I read how you and Sarah met Todd, how you two approached him. I think it’s the sweetest thing… these friendships all united by a love of food, (cats) and sharing. I’ve been dreaming of this cake for soooo long, Alanna. 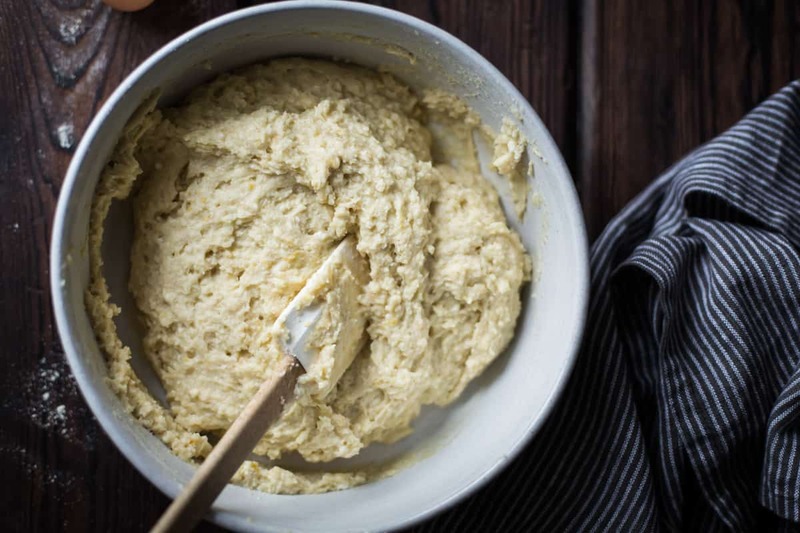 Ricotta almond though… but am completely intrigued by the corn flour in this recipe… is it like masa flour? Is the purpose flavor or texture or both? Paired with that whipped marsc. and blood orange.. my goodness. A divine creation and beautiful presentation. Gorgeous! This is my first year of having my own organic blood oranges from my dwarf tree. I am so excited to try your beautiful cake. Thank you. Sounds delicious and I’m so lucky to now have Sarah and Lucas and very soon mini Sarah as my neighbors!!!! They are WONDERFUL!!! 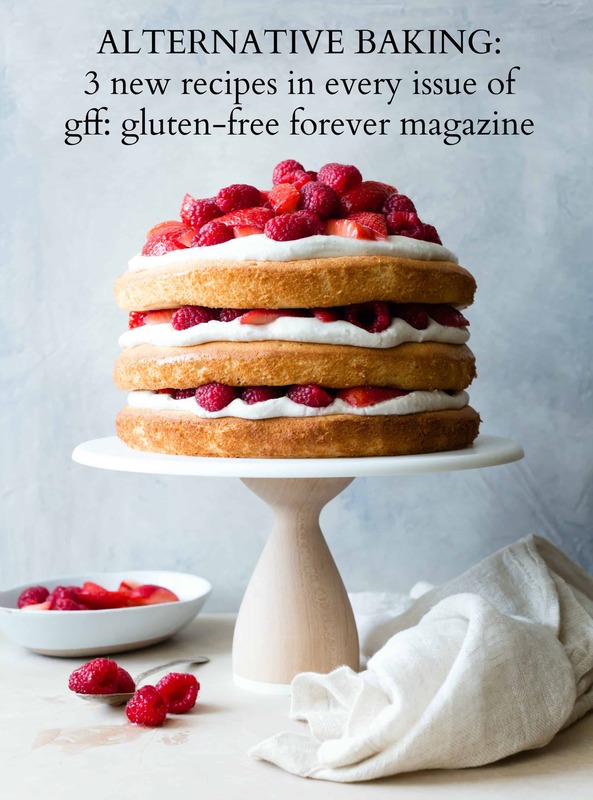 The cake is stunning, and the tribute to your awesome friend so dear… I am going to have an awesome time visiting all these blogs while snowed in on the east coast this weekend. Eek! Stay warm! Thanks so much for the kind words! First of all, thank you and Todd SO, SO much for organizing the shower and for inviting me to join the party! Yes, Sarah is such a talented person, and I’m so glad to know the both of you. This cake is just the perfect way to celebrate #cheesebabygirl! Aw! Back atcha, Lisa. Thanks so much for joining! What a great idea for a baby shower. Oh how glorious this cake is! I love the idea of using corn in it too. Just lovely. I couldn’t help myself from making this beautiful looking cake for a fun weekend baking project, especially since I hadn’t used my corn flour in a while. It was very easy to put together and we definitely ate it quickly. There were some components that didn’t work quite as well, but that was mostly my own doing. 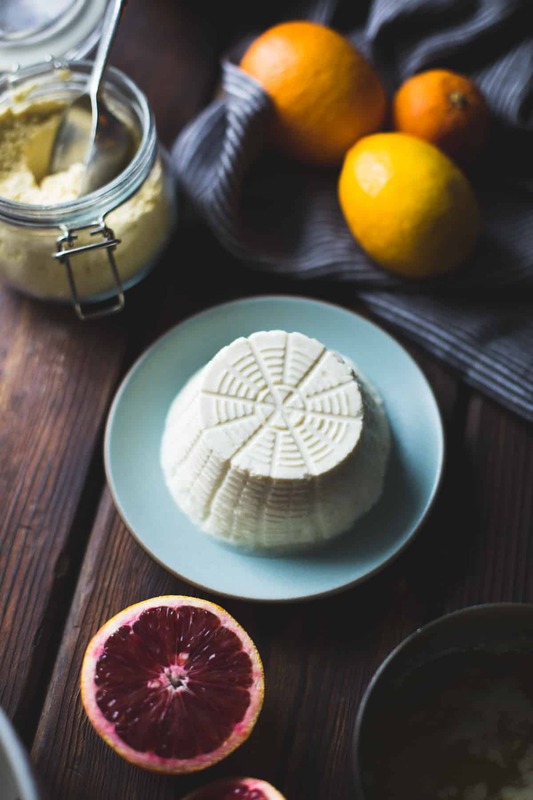 I made my own mascarpone (https://www.epicurious.com/recipes/food/views/mascarpone-51226440) since a small tub in Canada is around $10. It definitely wasn’t authentic, but it was turned out okay since it was cut with whipped cream and blood oranages. 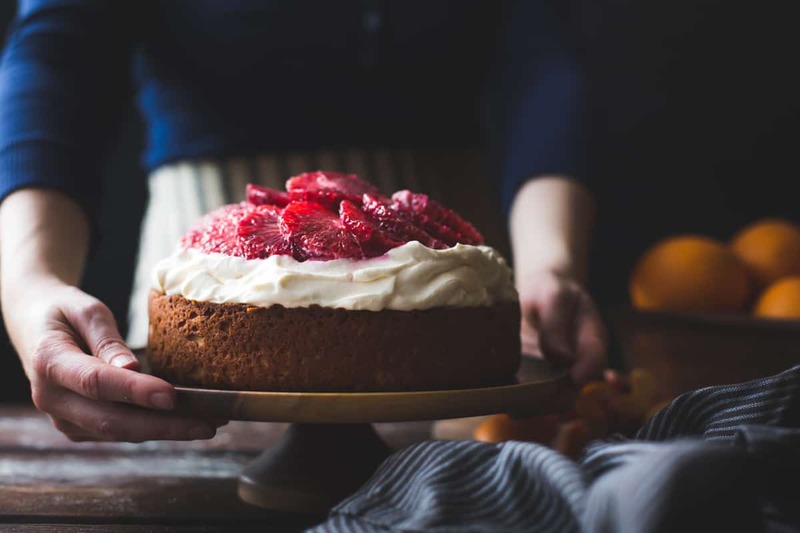 I’ll definitely be repeating a mascarpone/whipped cream topping for a cake! My blood oranges weren’t super flavourful, unfortunately, but they certainly looked striking on top. I think lots of other fruit could be delicious on top as well. The oranges were a little bit trickier to eat the way they were cut, so I might cut them into smaller pieces next time. And just a suggestion that if you put the cake in the fridge for leftovers, I’d recommend letting it warm up a bit before eating it as the cold butter made it feel a bit more dense (at least I think that’s what it was, the texture and crumb was nice when it was freshly assembled). Thanks for this fun recipe and also for pointing me in the direction of Snixy Kitchen. I’ve made so many of her delicious recipes since finding out about her from your blog!